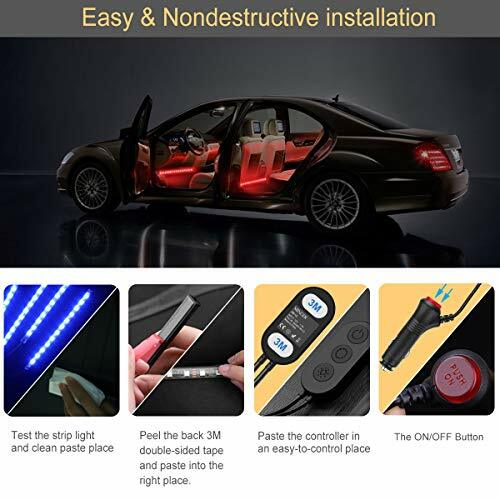 ➤Upgraded One-Line Design : The lights tape's back come with strong adhesive, a line connect with four strip lights, no need assemble the strip light, more easy to install and hide, keep your car clean and tidy. This cigarette lighter plug has switch and indicator light, built-in fuse, effectively protect the vehicle lights. Suitable for any model cars. 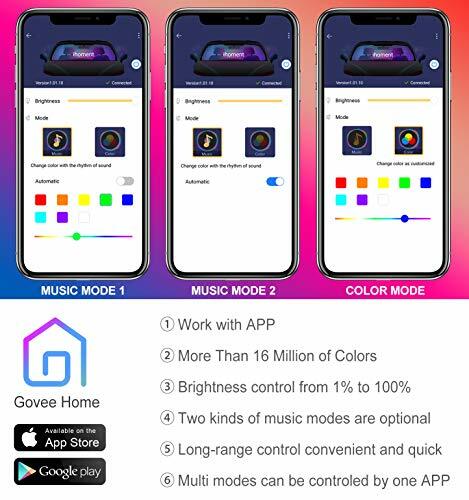 ➤Easy to Control : Forget the remote what easy to lose, we provide a more convenient and built-in controller, enjoy to change the color, brightness, music mode. And you can stick the controller on the nearby next you for safety drive. What's more, you can use the APP to control the light. 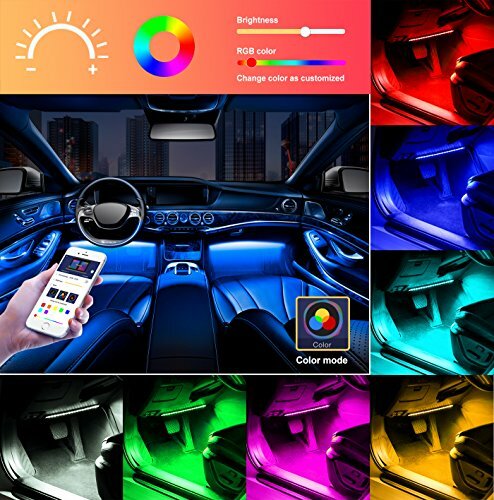 ➤BUILT-IN MIC : Built-in high sensitivity mic sound sensitive function, the interior car lights will sync any sound captured from microphone, and then the lights will change their colors following the music rhythm, increase safety of driving in daytime and nighttime. 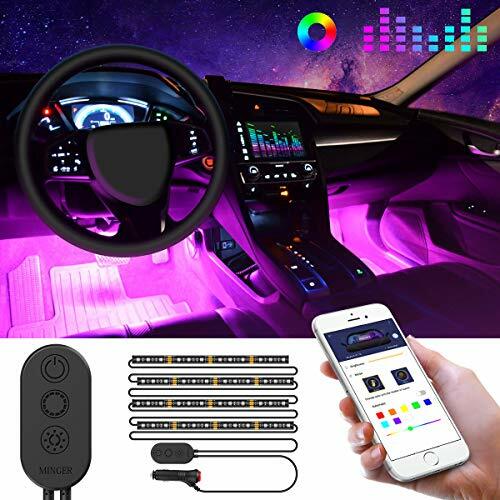 ➤MULTI COLOR : Come with RGB car LED strip,over 16 million colors and different tones for selection, you can create your own unique color to perfect enhancement for upgrading your car. 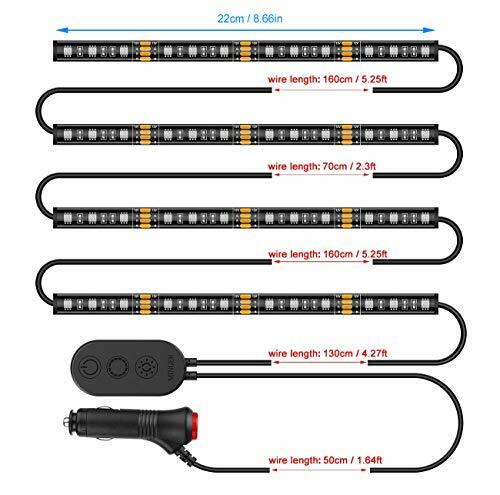 ➤SAFE TO USE : Car LED light strip has a working voltage of 12V and powered by car charger are equipped with short circuit protection and memory function. waterproof, extremely low-heat, touchable and safety for children. 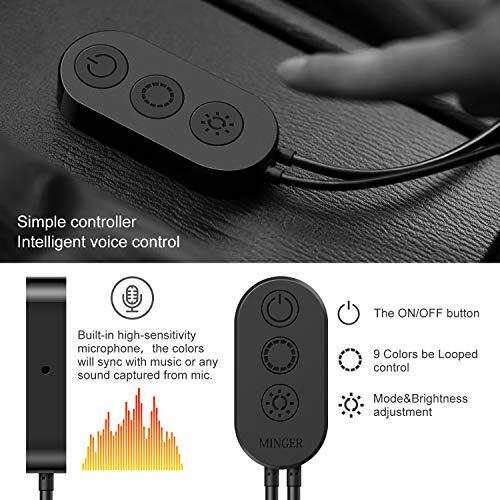 - Built-in high sensitivity mic sound sensitive function, enjoy color changing according to music rhythm. 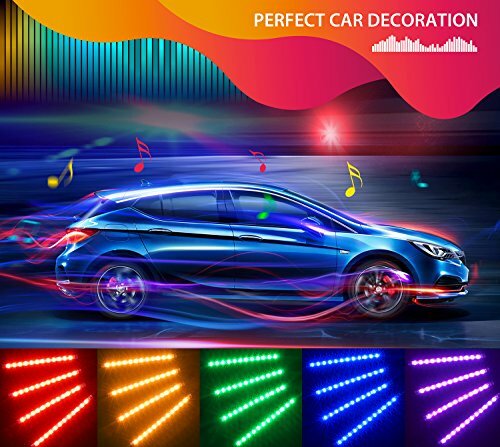 - Design - Flexible, UV & Water Resistant, Ultra Thin, High quality Music LED Strip Light, can be easily installed in the gap and virtually invisible. - Installation method -1)Test the strip light and clean paste place. -2) Peel the back 3M double-sided tape and paste into the right place. -3) Directly inserted in cigarette lighter. 12 month no-hassle warranty, free replacement or full refund without question asked.